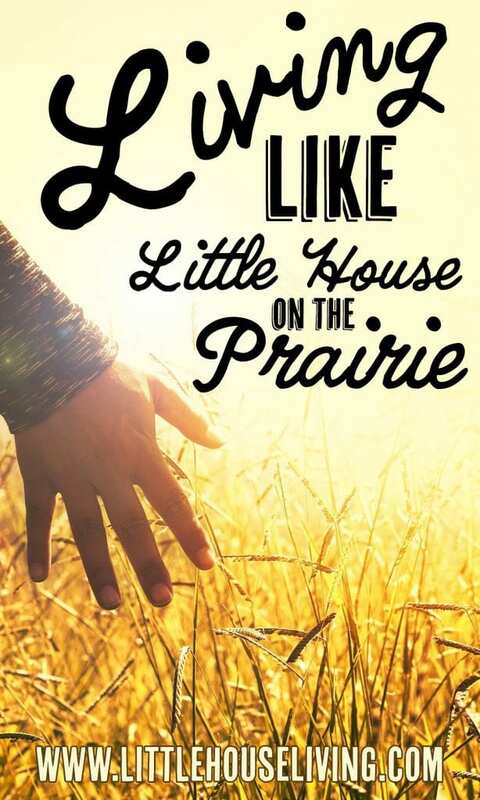 Ever wanted to live like the Little House on the Prairie books today? Curious about what we can learn from the books as adults and how we can apply it to our lives? Come dig into my Living Like Little House series! We finally got around to starting to read Little House on the Prairie! Growing up this was my very favorite Little House book. Me and my sister would hook the little trailer up to the 4-wheeler and pull it around the land pretending that was our covered wagon. When we couldn’t be outside we would head up the hill to Granny’s house and create “wagons” in her basement out of couch cushions and folding tables. Granny was thrilled with that! 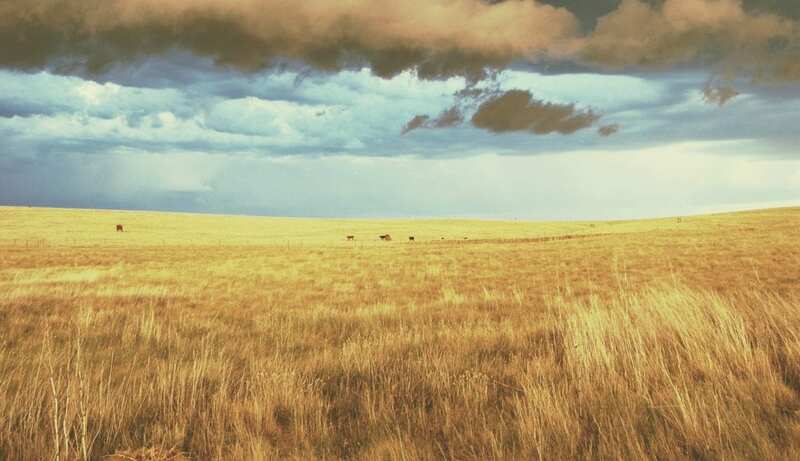 Back to the book….here are some things that I gleaned from re-reading Little House on the Prairie as an adult. This weekend we’ve been reading through chapter 2, Crossing the Creek. If you’ll recall from the book, Pa and Ma thought they would be ok while crossing the creek but then mid-way across things changed. In any day and age, we will never be able to predict the future. We don’t know what’s going to happen with the economy or with the weather or with anything really. The only thing we can try to do is be prepared for what *might* happen. Where I live, one thing we have to always be concerned about is the weather. 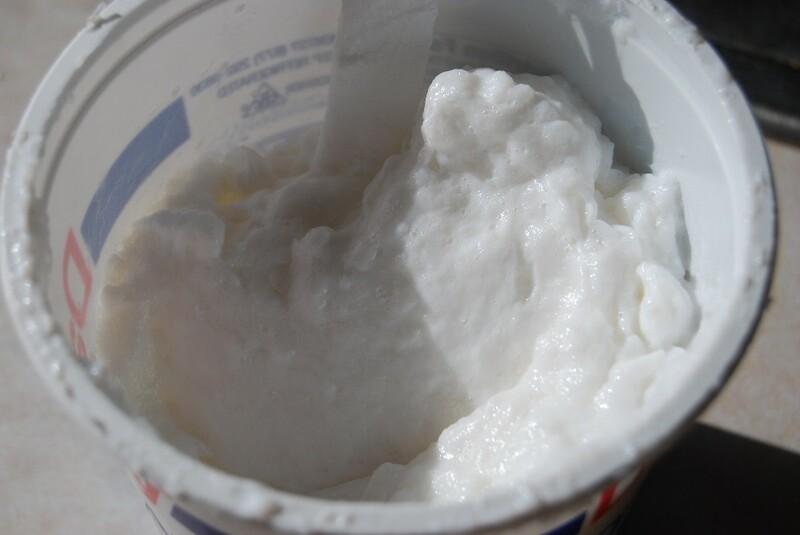 In the winter we always run the risk of a whiteout blizzard or winds that make it so cold you can get frostbite in 10 minutes. In the spring we have to worry about flooding. In the summer we have to worry about fires and tornados. In 2 years, we’ve had all those situations arise right where I’m at. This was just last fall. We had a lightning storm that sparked 4 fires. This was 2 of them that combined into one. 2 years ago. We had 3 bad blizzards in 2 weeks. Nothing melted in between. We were lucky at the time to have already borrowed the hubby’s father’s skid loader to dig ourselves out. During the blizzard though we were snowed in for about 4 days. This tends to happen a lot when you live down a gravel/dirt road. This particular picture was taken after the blizzards from the picture above when things started melting. It often does this when it rains a lot. Last summer it got so bad the entire road just caved in. A circling cloud. These always seem to happen when I’m alone at home! This particular one was right above ours and the neighbor’s houses and it scared me to death twisting round and round. Those are just a few natural disasters. You really never know what you need to be prepared for. Something that we are working on right now is preparing a 72-hour kit. This is a bucket we are putting together with various items that could sustain us for 72 hours. We are going to put it in a bucket in an easily accessible area so we can grab it at a moments notice should we ever have to leave the house in a hurry. Here’s a list of some of the things that will be going in our bucket. There are so many different emergencies to be prepared for that they can’t all be mentioned here. But I feel like at least putting together a 72-hour kit is a start and it’s better than nothing! One other thing I wanted to touch on…in Little House on the Prairie in the passage I quoted it talks about how Ma held her nerves to be able to help Pa through the disaster. The point of this is: I kept my head on straight during all those times. I knew that I needed to act when something was about to happen so I was ready for it mentally and materially. Now I’m not saying that you can mentally be able to prepare yourself for anything that might come your way but just remember when it happens not to panic. Keep level-headed. As we start reading farther into Little House on the Prairie we read about the Ingalls starting to set up their house. They needed to create a house out of pretty much nothing on the prairie. The prairie isn’t always the most inspiring place. It’s flat…and that’s about it. I can hardly imagine trying to start from scratch in the middle of an endless prairie over 100 years ago. You would just have to learn to be creative and inventive to get your home going! In this part of the book Pa had built the house but at the time he couldn’t build the roof because he needed extra help. So he put the wagon canvas for the roof of the little house. In the last few weeks, I’ve been thinking about being creative and using something you already have to create something that you need. 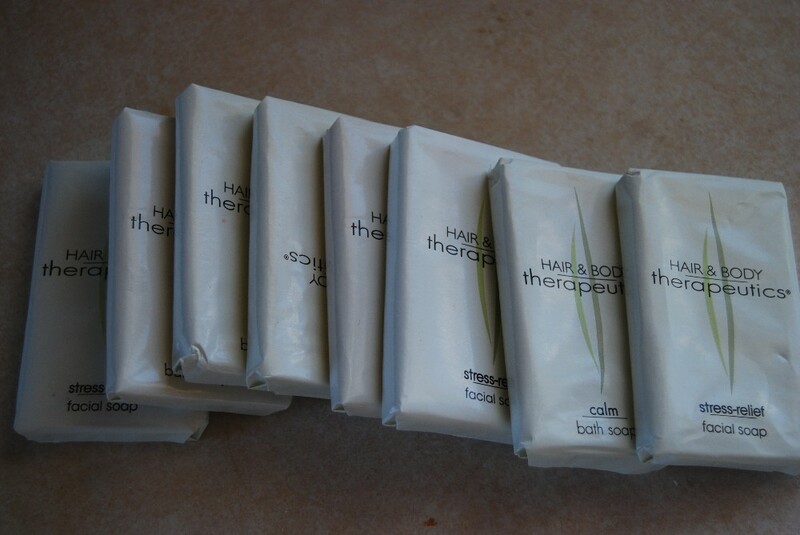 Over the years, I’ve stayed at a lot of hotels and collected a lot of freebie soap bars. I’m not usually much of a soap bar user because I don’t like the sticky sliminess. But then it hit me, why can’t I make those soap bars into liquid soap? It’s something we use every day! I dug out all the soap bars that I could find in my bathroom and came up with 8 of them. 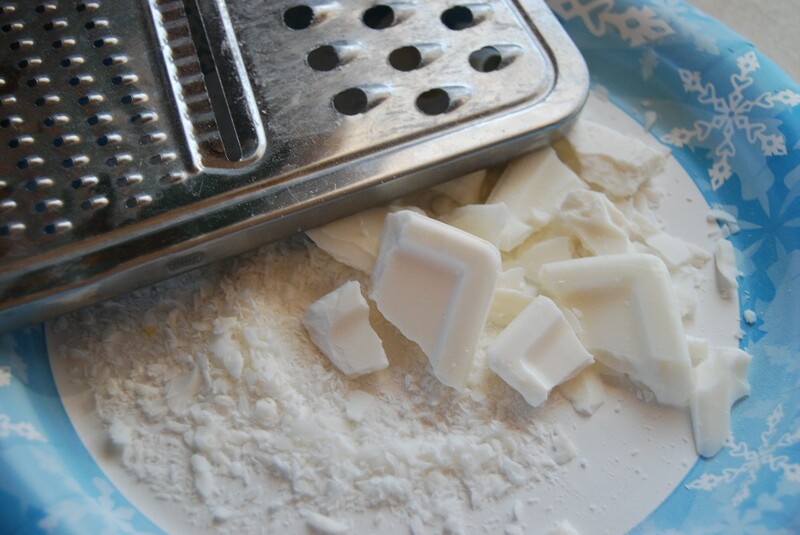 I used an old cheese grater and grated up the soap bars. After a while, I got tired of it and just started breaking them into chunks. I don’t recommend this unless you want to wait several days for the soap to be done. 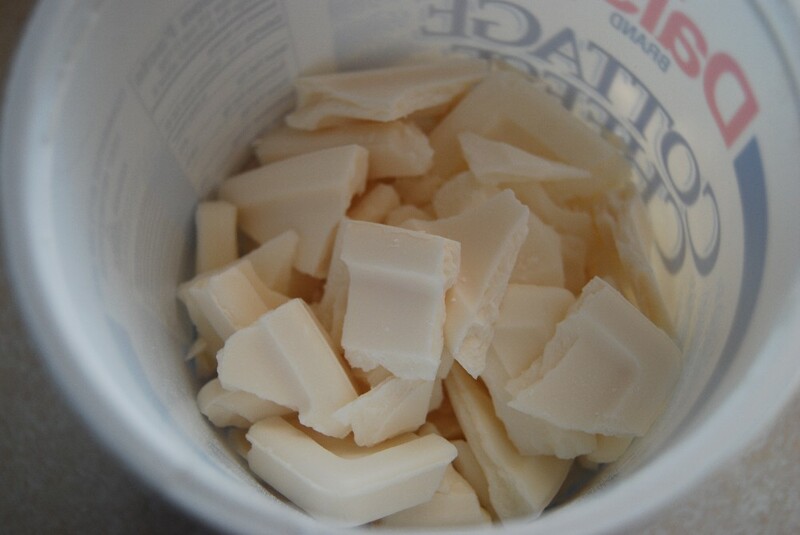 Put all the soap chunks in an old container. For my 8 travel size bars, I had to use 2 large cottage cheese containers. Then add hot water to the container until it covers the soap. Stir. Over the next couple of hours or possibly days depending on the size of your soap chunks. Every time you remember, mix the soap around and mash it up a little. 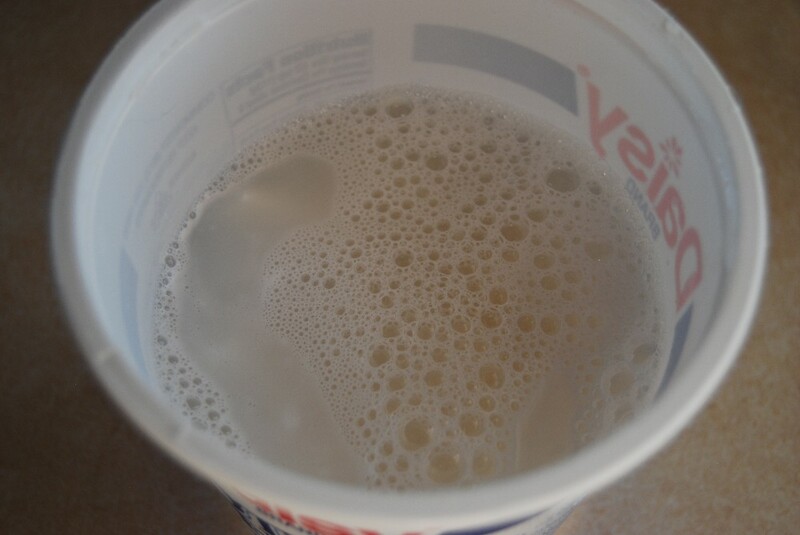 When the water gets used up and the soap mixture starts to get really thick, add more hot water and stir it around. Just keep doing this until you have a perfect paste that you can add to a empty soap dispenser. It’s such a simple way to take something that I wasn’t using and turn it into something we can use! I also added a little essential oil to the mixture to make the scent better. You might think this is a silly example, especially in light of the quoted passage above. But I just wanted to show a very simple way that you can make something out of something else that you might not think has much of a use in your home. Be creative and brainstorm all of the possibilities. In those days, people couldn’t go to town whenever they wanted. It took Pa an entire day to go to town and get the few things he needed and to come home. A few months ago I was talking to my mom on the phone and she was telling me about how she went to town once a week. They did what they needed to in town and got the groceries on their list and they came home and didn’t go to town for another week or longer. This was when I will still working in town part time and I had to go in at least 3 times a week, sometimes more. Every time I went in I had to go into a store(for my job) and of course then I would see things for a good deal and on clearance that I thought I needed to buy. The same was true when I worked my job before last, I was at a store all day long and at the end of the day, I usually had a pile of things I couldn’t live without. I wish I had been keeping track of my expenses then because now looking back at it, it would have probably made me cry to see how much I wasted! Now that I’m working exclusively at home, I’m lucky if I make it to town once a week. With gas prices the way they are I’ve been trying to stay home even more, only going in if we have an appointment. Ok, now you might be thinking, “well I’m not lucky enough to stay home, I have to work every day”, or maybe you live in town and therefore can’t not “go to town”. This is where a good dose of self-control steps in. Maybe we do have to be in town every day. Maybe it’s unavoidable. That doesn’t mean we need to spend money in town every day! I read forums where someone will post a great deal and then people will post that they had to run and get it right then. I think this is dangerous territory. By doing that we are telling ourselves that we need that item right here right now. I feel like I rambled on a little in this post so I’m going to stop before you start falling asleep at the computer. 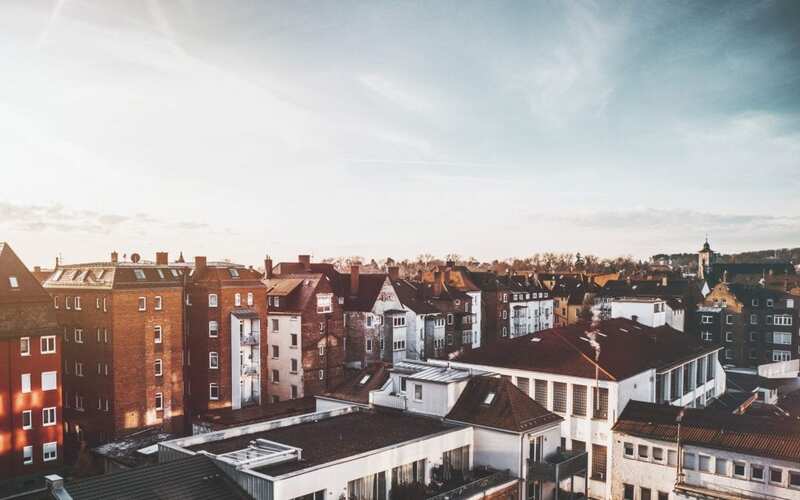 The main point from the paragraph in the book that I wanted to get across is just this…think about what you really need, train yourself to stay away from the temptation of the stores and shopping and going to town as well as you can. 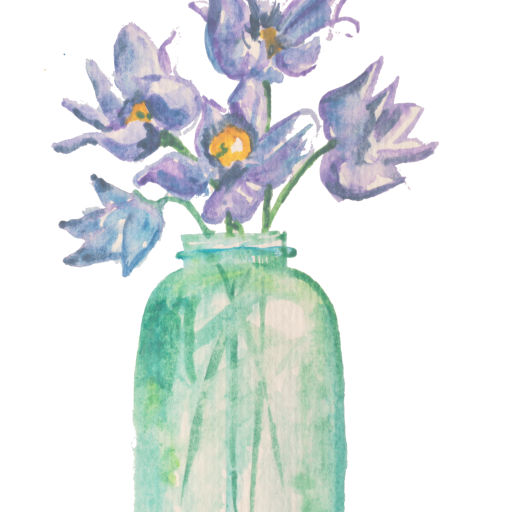 If you think you are going to miss out on something by not going to town, learn how to do other things to keep your mind from it, take up a hobby or a craft, have family game nights, plant a garden. There is so much that you can do at home! When you are sick, sick enough to feel awful but still feeling ok to eat, what is it that you turn to? A box of Twinkies and a can of pop? Of course not! You want something good, something that will make you feel better, and most of the time that means grabbing for some water and chicken noodle soup. Whenever we are sick, we crave a good chicken noodle soup. However, more often than not when we are sick and wanting that soup we end up grabbing a can instead of homemade. In the Little House on the Prairie, we read about when Ma, Pa, and the girls were sick with malaria. So what’s up with this broth? Why do we crave it and why have we been craving it for so long? So how do we make this miracle food? It’s pretty simple. Put the bones, fat, and some meat in a pot with water or in the slow cooker. (I just use a whole chicken). Add vegetables to taste if you want. (I usually don’t and just stick with the chicken) Make sure the water that you add to the mixture is cold so it can heat slowly. Add in a splash or two of apple cider vinegar. Heat the broth slowly and let it sit at a slow simmer for a while. After a while you will want to skim the top from the stuff that rises up. A fish broth should simmer 2 hours, other meat should be left all day, beef should be simmered overnight. You can use a slow cooker for any of these meats which is what I like to do. After the broth has been simmered you will want to stain it and remove any bones, or meat particles still in it. It will store for days in the refrigerator or you can put it in bags or containers in the freezer to save for later. You can use bone broth the same as you would use any other kind of broth or store boughten broth. We like to put it with chicken and noodles in the crockpot to make soup. I like to make extra chicken noodle soup and freeze it in individual servings so I have it for a quick meal when I need it. 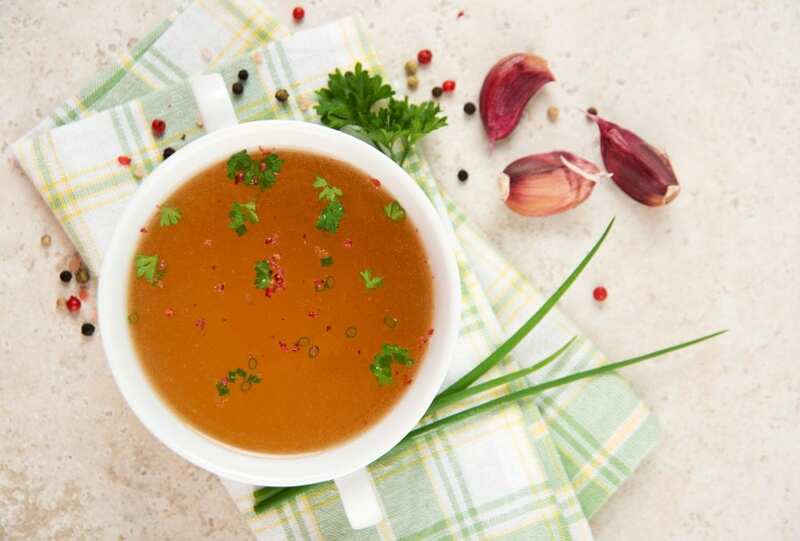 The kind of bone broth also makes an excellent soup base, and it’s very tasty when you cook pasta in it that you are going to use for another dish. It gives some amazing flavor to an otherwise flavorless pasta! 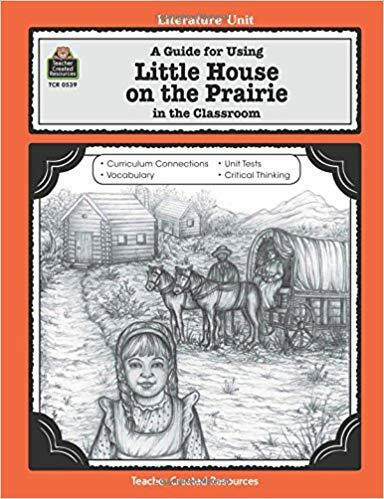 If you want to use Little House on the Prairie in your homeschooling or as part of your children’s education, I highly recommend this study guide: A Guide for Using Little House on the Prairie in the Classroom. This reproducible book includes sample plans, author information, vocabulary building ideas, cross-curriculum activities, sectional activities and quizzes, unit tests, and more. I think that it’s fun for us to go through the Little House series as adults and see things that we never saw before when we read them as children. It puts Laura’s entire life into a new perspective and helps us to appreciate what we have today. Make sure you read the entire Living Like Little House series! This series was originally published on Little House Living in 2011. It has been updated as of December 2018. I love it! We have a rolling suitcase for our 72 hour kit! That way…IF we could not take the car for some reason…I am not hauling 3 kids and our kit…plus the little one could ride on it if he had to! Very well put! I think an 72 hour bucket is great in any area. Thanks for the encouragement and the sense to tell others to do it. Lots of time we get so busy we do not think of weather much less anything else. I know that tornado terror well as I lived in Iowa as a child. Starting Monday I will be home alone all day for really the first time in my life. I am mostly hoping for a lack of distasters during the day while hubby is at work! I am notorious for not thinking quickly in the face of a crisis. These pictures are amazing. I am in the Adirondacks and we get some serious snow storms here. About 10 years ago we lost power for 3 days in the middle of winter. I learned in a hurry that you just can’t be prepared enough. Ever since, I do try to be prepared with food, water, etc..